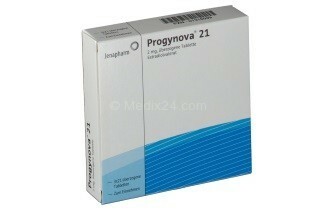 Progynova 21 is a medicine for Hormone Replacement Therapy (HRT). It contains estradiol, the female oestrogen hormone. When women get older, they produce less oestrogen. Progynova substitutes the lack of oestrogen in both peri- and postmenopausal women. It reliefs the symptoms of the menopause and also prevents osteoporosis. Additionally, Progynova 21 is also used as transgender therapy. How does Progynova 21 work? 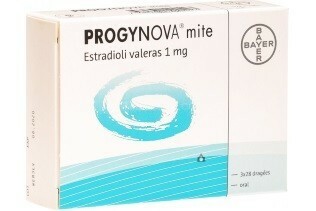 Progynova 21 substitutes the lack of oestrogen if the forthcoming symptoms seriously hinder a woman in her daily life. By substituting oestrogen, symptoms as hot face and flushes are alleviated. Some women can also develop fragile bones during the menopause. Progynova prevents this from happening. Another treatment Progynova is used for, is transgender therapy. Taking hormones will alter the secondary gender characteristics. These characteristics will become more pronounced which corresponds with the transgender’s gender identity.